My second stay in Beijing is about to come – I’m very pleased! 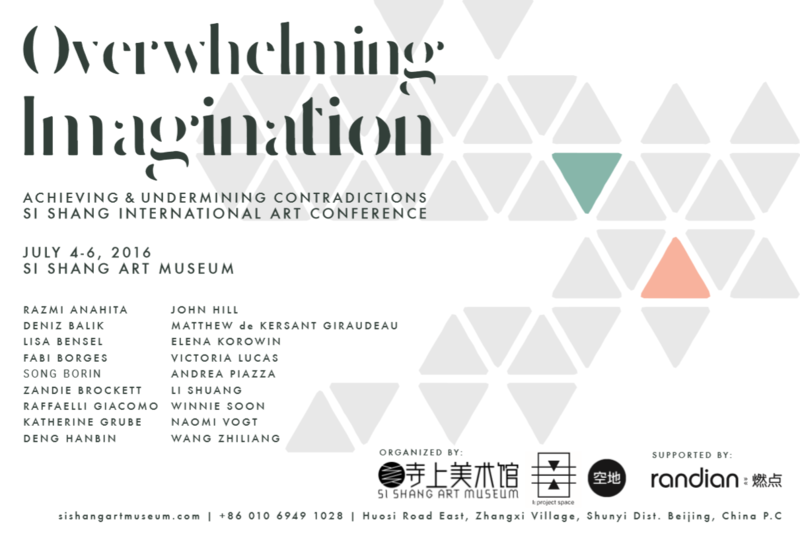 Together with 17 other spekars from (almost) all over the world, I’m invited to take part in the Think-Tank Conference ‚Overwheming Imagination‘ at Si Shang Art Museum. I’ll contribute to the conference with a talk about Biennials in the first panel about ‚Global Politics of Art‘. Thanks to I: Projectspace for the enourmous effort in bringing us together. See you in a bit! © 2019 all kinds of art stuff. Alle Rechte vorbehalten.